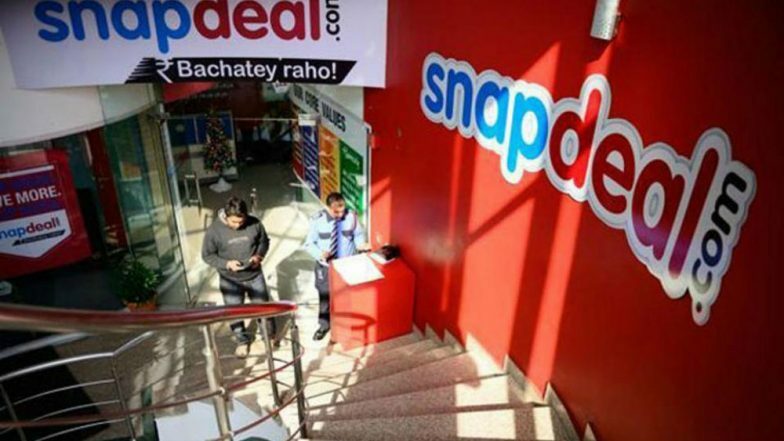 New Delhi, April 15: E-commerce platform Snapdeal Monday said it is looking to expand its technology team with the addition of 120 engineers this year as it enhances personalisation and recommendation features for its users. The company, which competes with larger rivals like Amazon and Walmart-owned Flipkart, said its 'Snapdeal 2.0 strategy' (launched in August 2017) has helped driving 3X growth in business volumes, while reducing costs by 90 per cent. "This resurgence also enabled Snapdeal to become the first e-commerce company in India to become cash flow positive, giving it the freedom to invest its earnings in growing the business," Snapdeal said in a statement. The company said it had hired nearly 150 new team members, mostly in the technology, engineering, product and design teams in 2018-19. Interestingly, more than half of the new hires in 2018-19 were former employees opting to rejoin across technology, supply chain, user growth, marketing and business verticals at Snapdeal. Minimum Resale Price: CCI Dismisses Snapdeal's Complaint Against KAFF Appliances. "In the coming months, Snapdeal is looking to hire nearly 120 engineers who will work on various projects in the domains of machine learning, gamification, personalisation, cloud-agnostic production systems, etc," it added. The positions span across entry, mid and senior positions in areas such as artificial intelligence, machine learning, full stack, Java back-end, and front-end engineering, it said. Snapdeal said it is also looking at adding vernacular components to the buying experience. "The technology team is helping Snapdeal to deepen its efficiency initiatives... improve the experience for users and also lower the cost of operations. Technology continues at the heart of Snapdeal 2.0's success in driving growth, superior experience and more efficient operations," it noted. Snapdeal, which had seen its business being impacted severely by the intense competition in the e-commerce segment, had in 2017 dumped a USD 950-million takeover offer from rival, Flipkart. It was then that Snapdeal co-founders, Kunal Bahl and Rohit Bansal had said Snapdeal will pursue a fresh strategy in the Indian market. This strategy has helped Snapdeal narrow its consolidated losses substantially to Rs 613 crore for 2017-18 from Rs 4,647.1 crore in 2016-17. Apart from trimming headcount, the company also sold its payment services unit, Freecharge to Axis Bank and Vulcan Express to Kishore Biyani's Future Supply Chain Solutions.